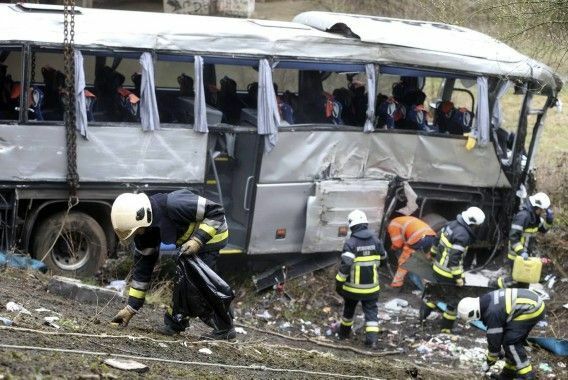 A Polish bus carrying Russian youngsters crashed through the guardrails of a bridge and plunged 5 meters (16 feet) to a field below on Sunday, killing at least five people and injuring 12, an official said. 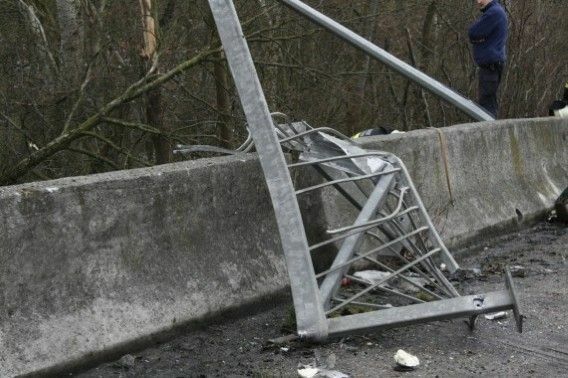 The accident occurred in Ranst, a Belgian town near the port city of Antwerp, and no other vehicles were involved, said Mayor Lode Hofmans. ‘‘We have five dead,’’ Hofmans said in a telephone interview with The Associated Press: the driver, an adult guide and three youths. He said of the 12 hurt, five were in critical condition or seriously injured. 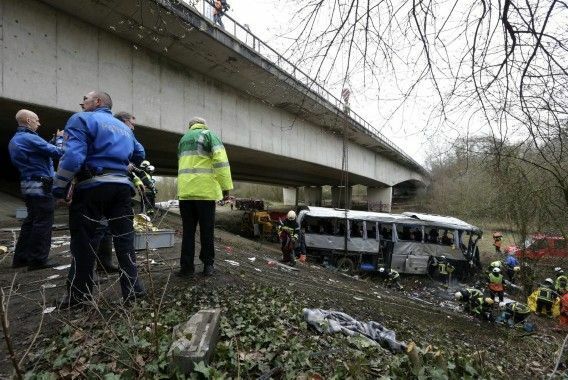 Hofmans said the Polish bus was carrying 42 people, many of them teenagers or in their 20s. 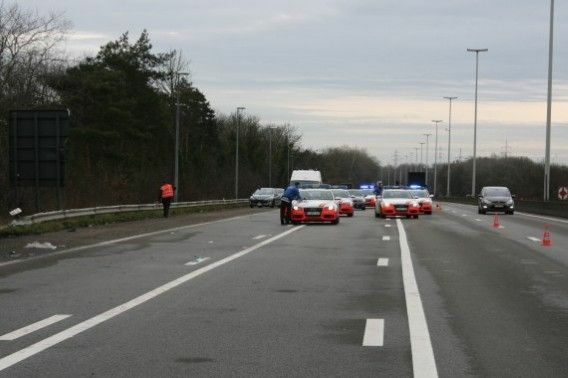 The vehicle was taking Russians from Volgograd, Russia, and was heading toward Paris when the accident occurred. 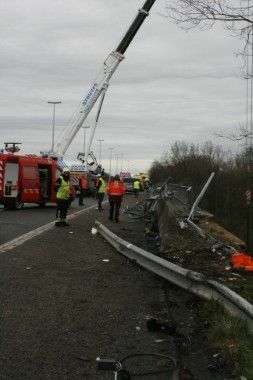 There were no visible skid marks on the busy E34 highway where the accident occurred just outside Antwerp. 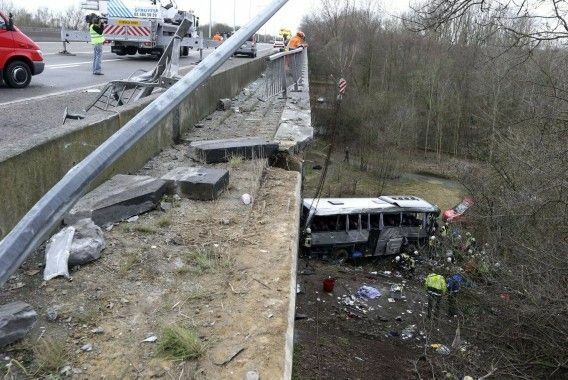 Some debris from the bus was strewn on the highway where it rammed the guardrails at around 6:30 a.m. (0430 GMT) and crashed into the field below. 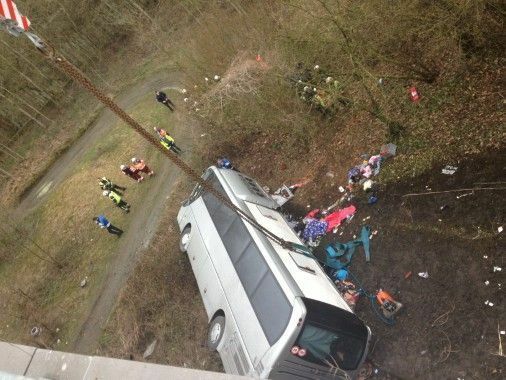 Pictures of the crash scene showed the white bus lying on its side with belongings of passengers strewn outside. 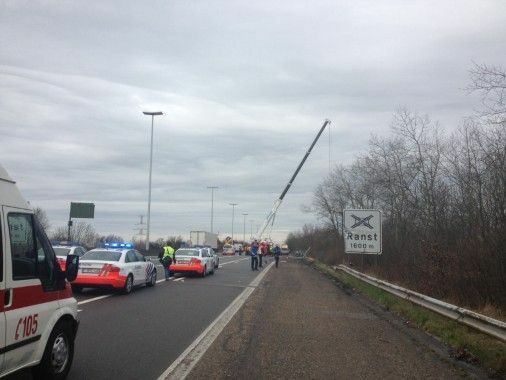 At the crash scene, a crane was trying to lift the bus.